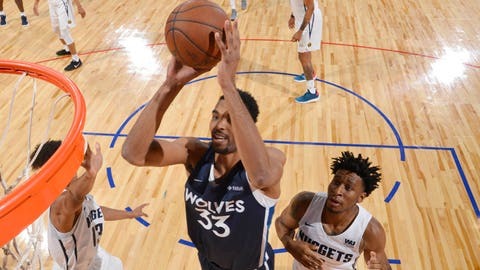 Rookie Keita Bates-Diop scored 14 points on 50 percent shooting to help the Minnesota Timberwolves to an 83-71 win over the Denver Nuggets in their summer league finale Friday. The Wolves’ 2018 second-round pick added four rebounds, three assists and one steal. Minnesota’s 2018 first-round pick, Josh Okogie, sat out with a sprained finger. Josh Gray also scored 14 points, while Isaiah Cousins chipped in 13. Jared Terrell scored 11 points, a week after signing a two-way contract with the Wolves. The Wolves closed out the first half up 47-43 and never looked back, shooting 42.5 percent from the field and 27.6 percent from 3-point range.